More than ever before, the amount of people struggling with sleep deprivation and anxiety is rising. I think we can all nod to agreement with that. I have my own reasons as to why I think this is the case, but it’s worth remembering they are merely just that – my own humble opinions. I mean, for one I am definitely no lifestyle or health expert. I’m just a 32 year old lady who has been quite lucky not to struggle severely with either sleep problems, insomnia, anxiety or stress. But it doesn’t mean that I don’t experience bits of all them from time to time. And man, from when I have battled the odd case of anxiety or insomnia, it’s been awful. I truly feel awful for anyone who has to battle in day in, day out. Lately, I find myself in sudden bursts of anxiety, where I get overly anxious about my career and future. I blame my age and industry. Growing up and developing in the busy online-social-media-influencer world and making a living from it is a whole load of anxiety wrapped into one. And it’s that what makes me feel like anxiety and insomnia is creeping in with people from even younger ages. I’ve watched my friends with children aged 10 and 11 play on iPads through the night until the early hours, then they can’t sleep because social media is playing on their minds. I’ve seen friends and family struggle with demanding, 24/7 jobs which mean they are anxiously waiting for emails or calls, and can never switch off. And then there is the more serious side. Some people are just more prone to sleeping problems, anxiety and stress more than others. So, I guess you’re wondering: what advice are you planning on giving us, Emma? Hmmm… well… like I said earlier, I’m no expert in this field. But, due to my increasing anxiety based around my social media industry line of work, and the fact I feel myself panicking about my age and how life is running away so quickly, I have been suffering from loss of sleep and bursts of uncontrollable anxiety. Over the past three weeks, I’ve been trying out a new launch from a brand called Utmost Me. In a nutshell, they are a health start-up and focus on two areas – improving sleep quality and improving focus and memory. 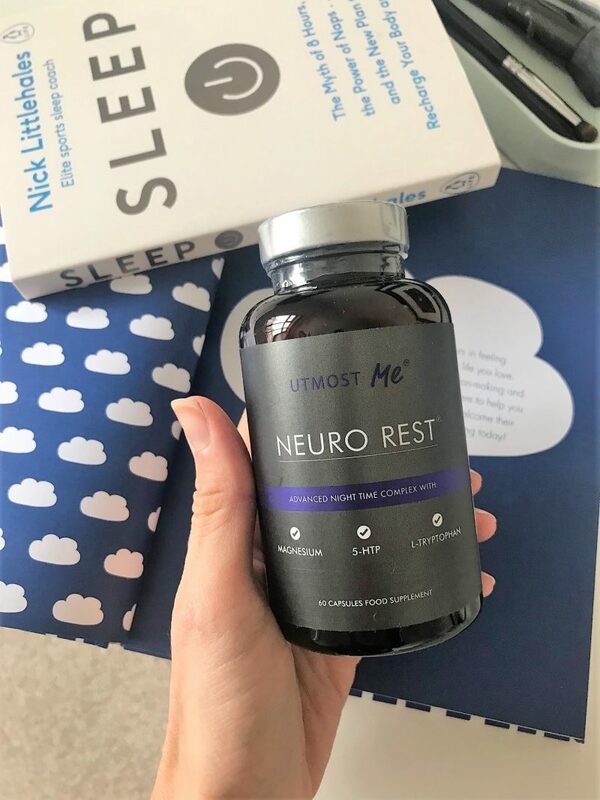 What I liked about Utmost Me upon my first discovery if that they are very tight and super focused on their expert area – which is sleep and anxiety wellness. They don’t offer an extension to their brand, with vitamin supplements, beauty capsules or diet pills. They are just proud of the two products they’ve worked to produce. I decided to try out one of their products – Neuro Rest. This one is a sleep supplement, whilst the one I haven’t tried, Neuro Focus Plus, is a brain vitamin supplement. 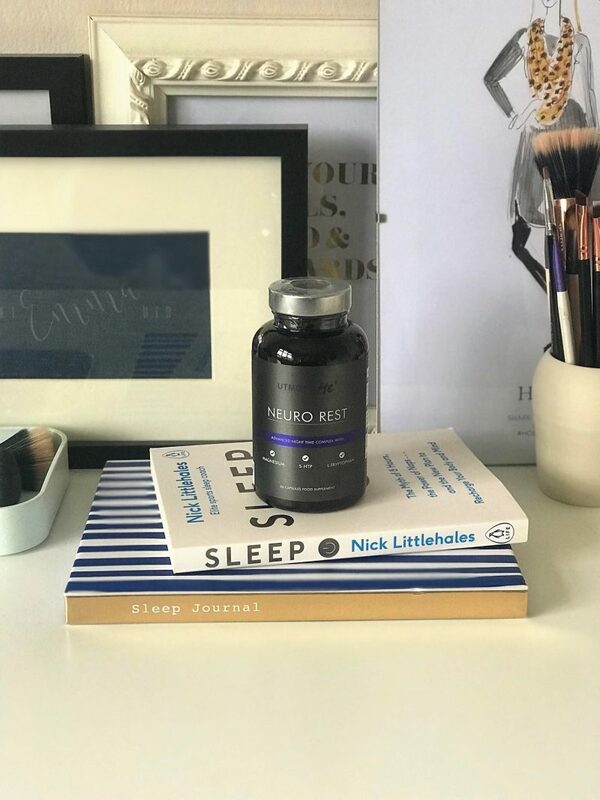 Neuro Rest contains ingredients proven to reduce tiredness and fatigue whilst increasing the feel good hormone serotonin to promote a restful night’s sleep. It was this one which I felt was more needed for me. My tiredness and fatigue from falling to sleep late and feeling groggy the next day was wearing me out. What is in Neuro Rest? 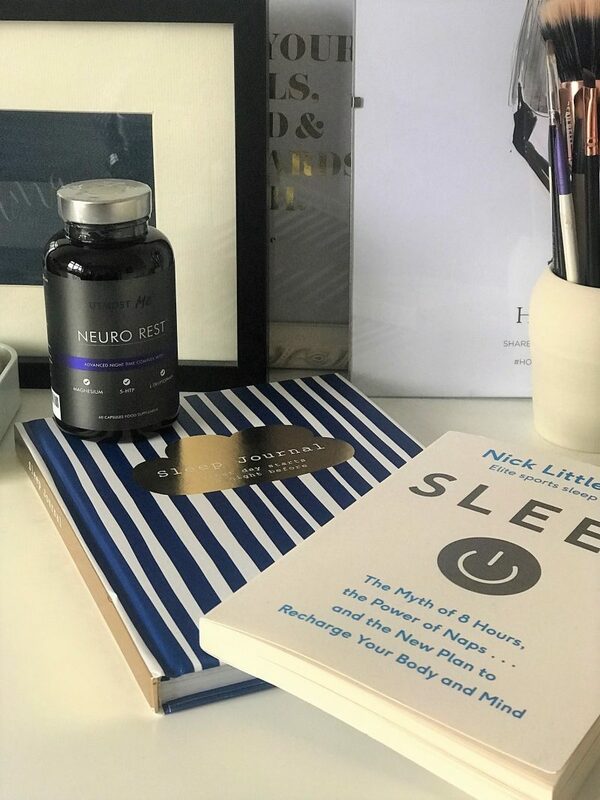 Neuro Rest has been created by Doctors, Biochemists and expert Nutritionists, taking a science-first approach to developing natural supplements. 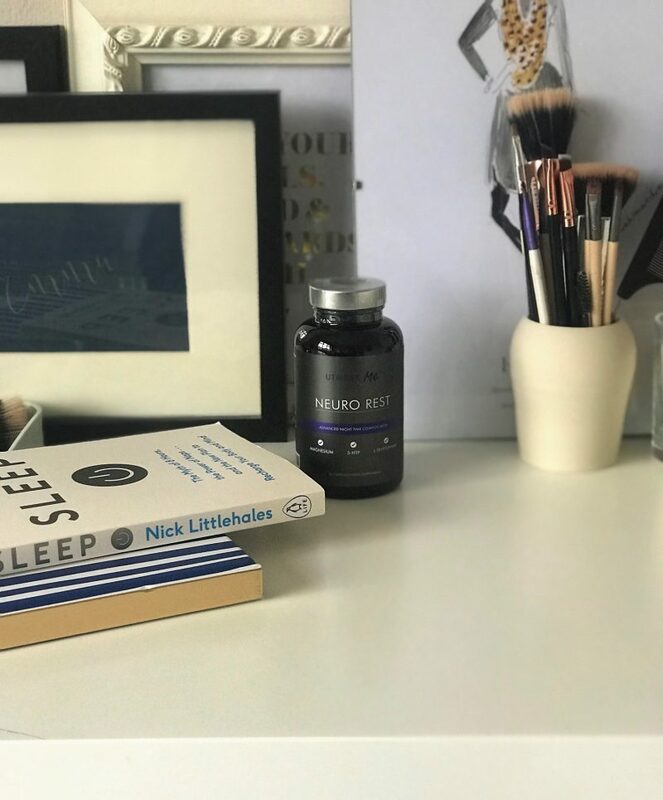 When I researched into it, the Sleep Quality Blend capsules contain ingredients proven to reduce tiredness and fatigue whilst increasing the feel good hormone serotonin, which was something I was keen to explore. 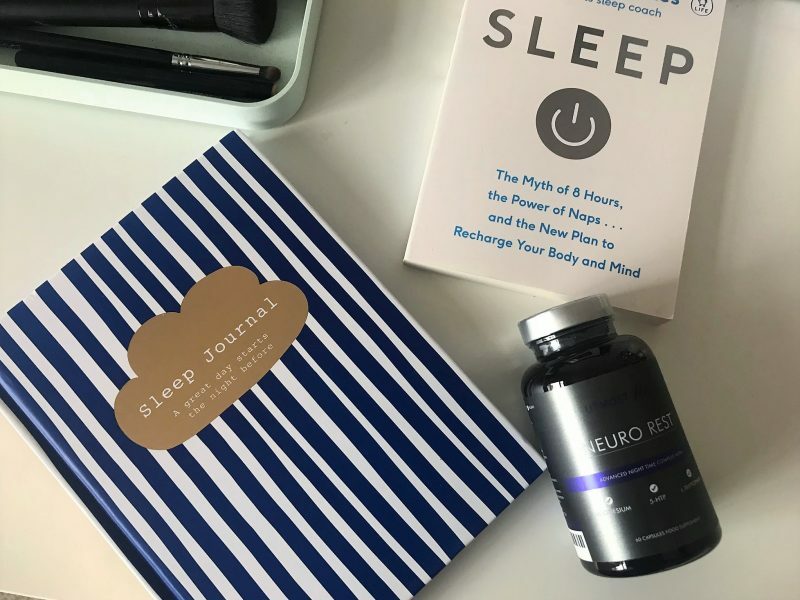 Their website states: Our exclusive Melo-Fruit ® Sleep Cycle Support combination provides Natural Sources of Melatonin** which regulates sleep cycles and signals the body that it is time for sleep. [**Pure Melatonin is classed as medicinal in the UK and requires a prescription. Our blend of Montmorency Cherry, Grape Skin and Watermelon extracts contain natural melatonin sources]. You’ve got Magnesium, L-Tryptophan, 5-HTP (from Griffonia seeds), Montmorency cherries, Grape skin, Watermelon, Chamomile, L-Taurine and Biotin combined into the capsules – a powerful concoction of melatonin rich ingreidients. Neuro Rest is also a natural supplement that is gluten free and suitable for vegans. It’s also GMO free and only contains wholefood and plant extracts. 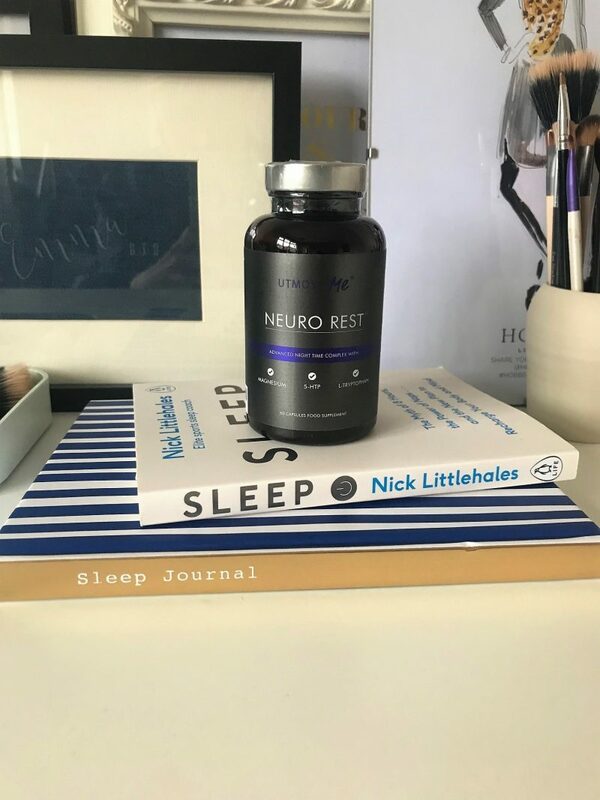 It’s advised to take 1 capsule for the first 4 nights, before moving on to two capsules to get your brain used to converting the increased levels of 5HTP in your system – and even then you may find that you only need just the one capsule. With me, I upped it to two after the first week, but then dropped back down to 1 – I felt I only needed the 1 capsule, but it does totally depend on the individual. I’ve come to the end of around 3 weeks (perhaps a little over this) of taking Neuro Rest, so it’s been a good length of time to give it my honest review and thoughts. Week 1: I didn’t notice too much of a difference during the first 5 days, but I feel like during week 1 I was much more ‘aware’. I’d set my alarm and put my phone on aeroplane mode so I don’t have to think about any Whatsapp messages or emails through the night etc, but then I’d think about falling to sleep quicker and feeling better more, because I was aware I’d taken something to help me. Apparently this is to expected, to wait a few days before any real improvement, as they contains 5HTP – our brains need a little time to get used to converting the extra amount of this. They say 5HTP can help with anxiety and insomnia, so I was keen to see this kick in. 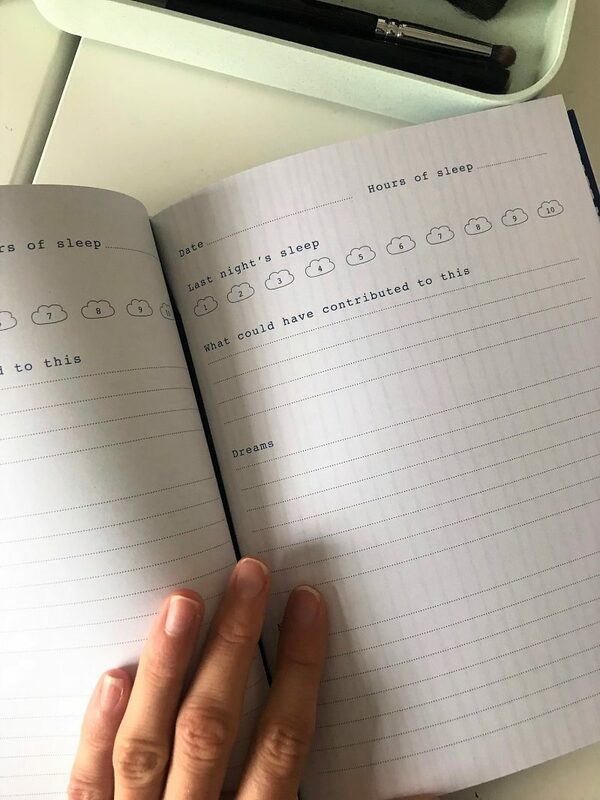 Week 2: At the beginning of week 2, I noticed for the first time in a long long time I started waking up in the morning and realising that the period of going to bed and falling to sleep wasn’t sticking in my head. I couldn’t remember the tossing and turning phase and ‘thinking’ about life, work, social media and the next day. That intrigued me… so that means I fell to sleep quicker then, right? The best thing was, no groggy feelings in the morning. I was fresh, and started to get that happy feeling that I’d clocked up around 8 hours sleep. Week 3: I’m so happy to say that from getting into my bed, my average at the start of week 3 was around 10-15 minutes before falling to sleep and drifting off. Before, I was always an hour. It’s like I’d chose to think and worry about things, before drifting off after around 50-60 minutes. And then just after the 3 weeks, I felt like this time might have even got a little shorter. I swear I fell asleep after around 2-3 minutes last night. But I don’t want to jinx it! I definitely feel like my falling to sleep time has improved – I can’t remember lying there thinking of problems and worrying like I use to from the previous month. Now, it’s more like I go to bed, have a few minutes where I do still ‘think’, but then it goes – the next thing I’m waking up after a deep sleep. I’m really hoping its not just the first few weeks and then it’s going to stop, although I have been making a few changes to my life to go hand in hand with taking Neuro Rest. Neuro Rest recommended this, and have so many tips on their blog too, so I thought I may as well follow some to maximise the results. One thing has been to maintain a regular sleep and wake-up time, even on weekends. I tend to go to bed at 10.30pm – 11pm (it could be earlier, but before I used to be a midnight girl and since working for myself, I can wake up much later, so it’s still an improvement!). I tend to wake up at 8 am during my work-from-home days, and the days I do bridal makeup (usually a Friday or Saturday) it will be more like 6.45 am. Stay away from screens in the hour before bed, especially those LED screens: Blue light emitted from these devices can effect your body’s natural melatonin production and put the breaks on your natural instinct for sleep. Avoid alcohol and caffeine: both can have a negative impact on the time spent in deep sleep. While alcohol is well-known to help you fall asleep faster, too much close to bedtime can disrupt sleep in the second half of the night as the body begins to process the alcohol. Eat light in the evening: a full stomach of food will inhibit your ability to fall and stay asleep. 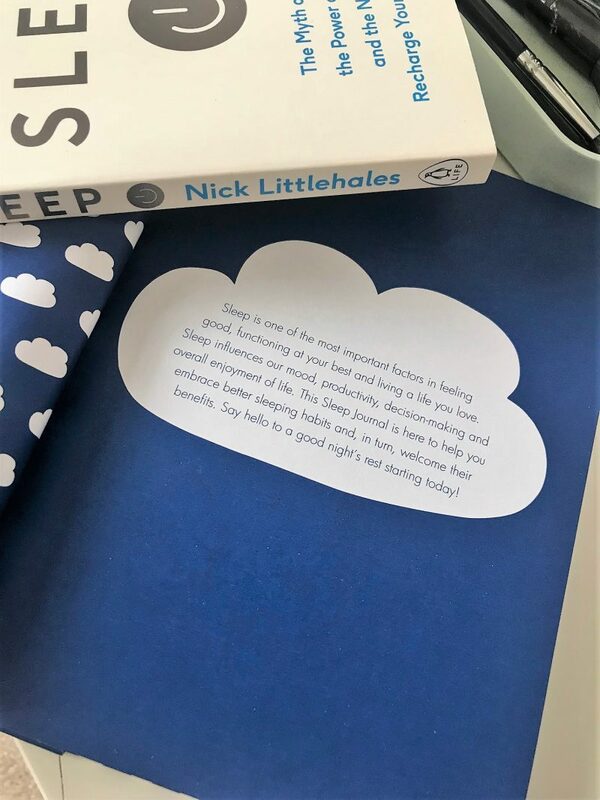 You can find out much more about sleeping and anxiety, with a bunch of tips over at the Utmost me blog. I found it quite interesting to read alongside researching into Neuro Rest, as it’s written by the teams Wellness Board of experts. 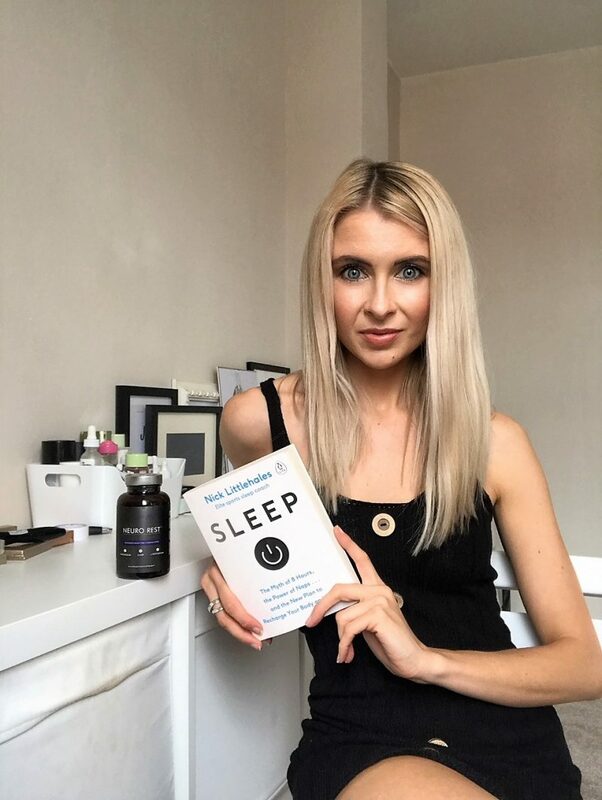 All in all, a great product launch – one I feel will benefit a lot of people out there due to the current rise in sleep deprivation and anxiety. And, I’m truly hoping it will continue to impress me.